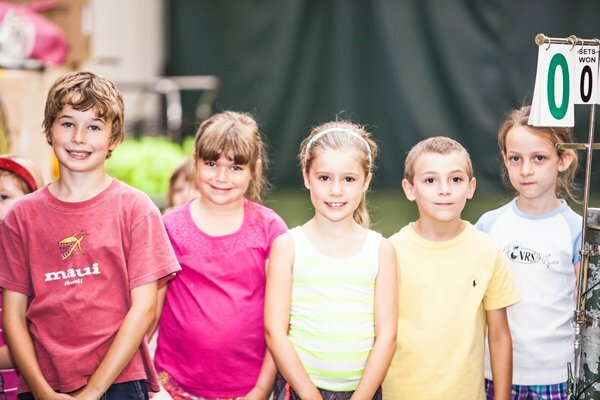 Maine Pines Junior Programs include Preschool, Red Ball, Orange Ball, Junior Development, and High Performance Clinics. All players will be grouped by their ability in order to obtain the best instruction possible. Each participant in these programs will vary in ability, however, the excitement and commitment to improve are the same. We emphasize positive attitudes, sportsmanship, and effort. Uses painted 60’ courts and orange or green dot balls. 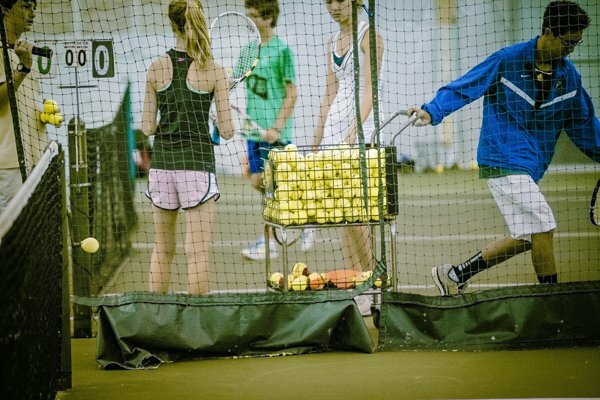 Teaches tennis skills and strategies through game based drills, as well as footwork patterns and coordination. Players will have fun while learning to play, enjoying the game right from the start. Meets Mondays and/or Wednesdays from 5-6. Uses USTA approved red ball courts. Teaches players hand eye coordination, tennis footwork, and basic skills and strategies of the game. Players will have fun while learning to play through game based play. Meets Mondays and/or Wednesdays from 4:15-5. Red Ball and Orange Ball players have the option for one or two days per week. Sign up for 3 months and receive a free kids racket. 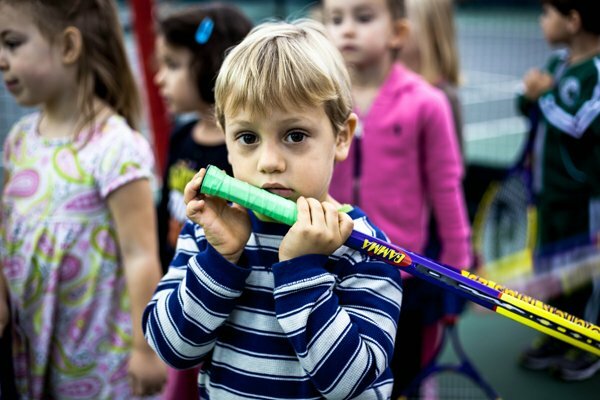 Preschool Tennis is a great way for little players to be introduced to the game for tennis. 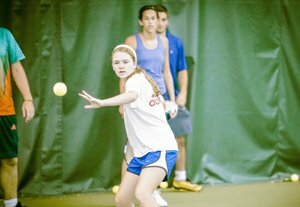 Players will learn hand eye coordination and the basic tennis strokes, with a goal being them learning to rally on their own. 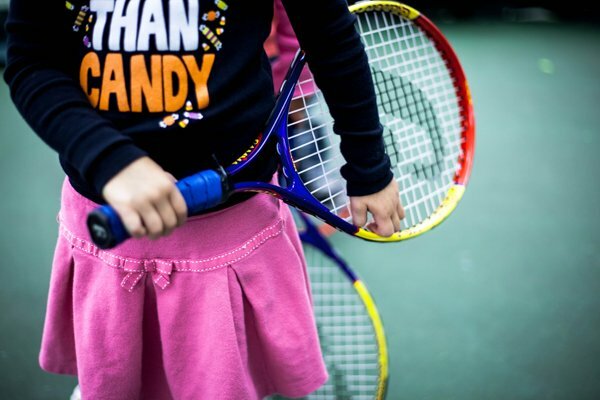 This great new class will allow parents and kids to learn to play tennis at the same time. Kids will be on one court while parents are on the other court, each with their own pro. At the end, both courts will come together so parents and kids can play together, sharing what they have learned. Cost: $99 for both child and adult (includes for adult: fitness and yoga membership and free weekend court time for time of class). 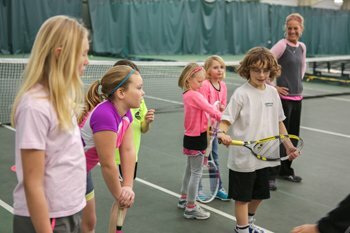 Kids Learn to Rally Saturday Tennis is a great way for kids to learn how to play tennis. 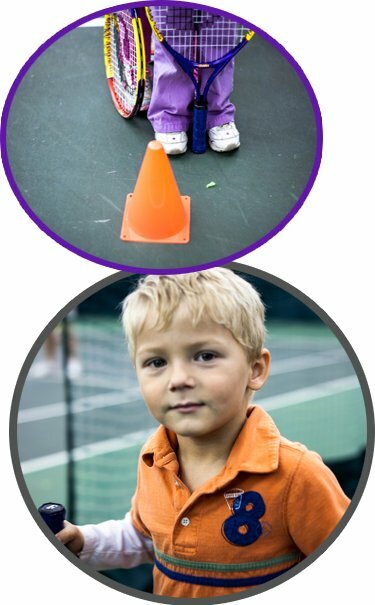 In a four week session, kids will learn tennis skills and strategies through game based drills. COST: $55/session, begins on the first Saturday of the month. JDP is a program for players including junior high and high school players of all levels. JDP meets three times a week and offers a combination of drill, instruction, and play. Tuesdays and Thursdays will be for drill and instruction; Fridays will be for match play with coaching. 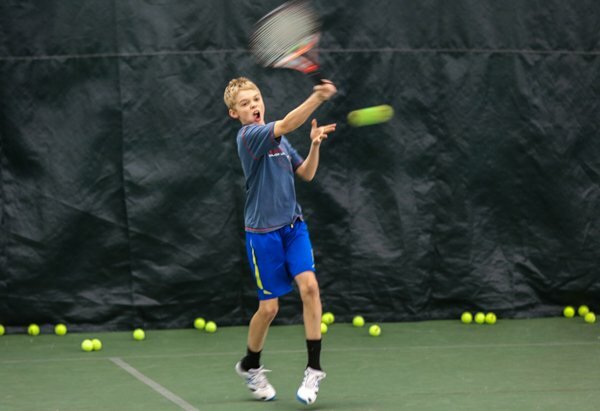 Participation in the JDP program includes a Junior Membership and discounts on tournaments, leagues, and individual instruction, as well as junior club tournaments. 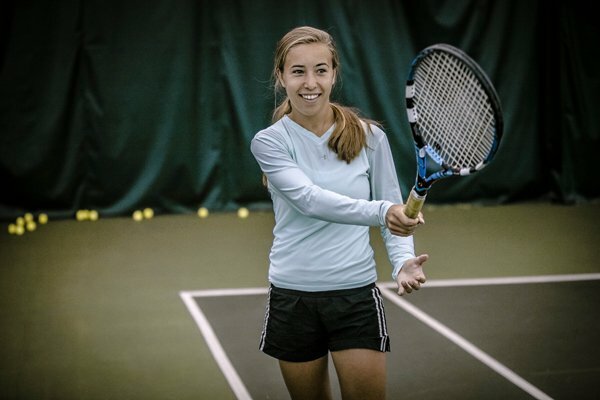 This program is perfect for the junior player who aspires to play high school or college tennis. Age exceptions can be made depending upon ability. Member/Participant can cancel up to 3 months for other sports and return with no processing fee only during the school year. Electronic Funds Transfer (EFT): If you cancel for the summer a processing fee of $60.00 will be applied for renewal of membership. The High Performance Training Clinic is geared toward the high level tournament player and gives them competitive opportunities that motivate and encourage the player to develop to their highest competitive level. Players will be grouped by ability to provide the best possible challenge and means of improving. This clinic will instill percentage play through drills, fun competitive progressions, and sport science. Clinic days are Mondays and/or Wednesdays 3:30-5:00. High Performance Players can add Friday match play for $25/month. $100 by EFT for one day/month (Mon or Wed). $200 by EFT for both days/month (Mon & Wed). For kids ages 6-16 who are homeschooled or home during the day. Parents can take a 123 class at the same time.